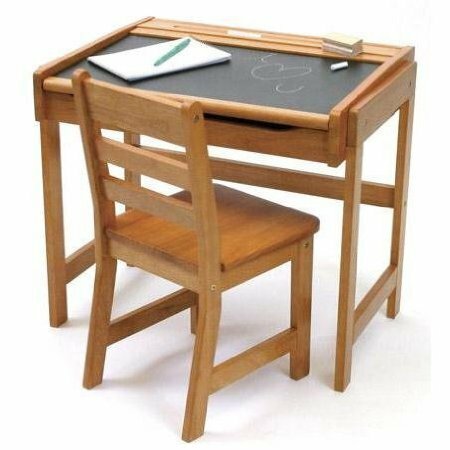 Lipper International child's desk with chalkboard top & chair. Lots of storage and indentations for chalk or pens and pencils.Use from toddler play to school age. Made with recessed finger hold to protect precious fingers. In lovely pecan child-safe finish. Goes with any décor. If you have any questions about this product by 4KIDS, contact us by completing and submitting the form below. If you are looking for a specif part number, please include it with your message.